The Bridal Room Woking, Surrey is a privately owned boutique who specialises in sourcing beautiful wedding gowns from the World’s leading designers. Based on the Hampshire Surrey Borders, I favour natural light and use outdoor locations or your own home for the shoot. This creates an intuitive and relaxed feel to the experience and the resulting photos, as you will see from my portfolio galleries . 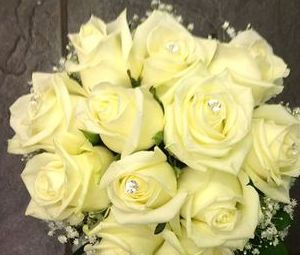 From Bridal Bouquets to Buttonholes, Church, Ceremony and Reception Flowers to Table Decorations, Balloon Decor and Thank you Flowers, based in Hampshire. Fuzz Universe are a five piece, professional, party function band. With over 750 gigs in the last 8 years, Fuzz Universe are one of the most sought after function bands in the UK. Bob has been a photographer for over 30 years,. During his journey and love of capturing moving images he also makes great vidoes. Delicious home-made Cakes, Cupcakes & Biscuits for any occasion. With a variety of flavours and styles to choose from, I am sure you'll be happy with the finished result.